I finally got the 05/30 draft run! I appreciate everyone's patience as I step through the various aspects of running the breaks. I don't know about anyone else, but I've been having fun with some of the very cool cards we've seen and with the whole simulated season aspect. It has certainly modified the draft choices I make somewhat. Of course, when it is all said and done, we have the luck of the draw on draft day, and may not end up with the key players we had hoped... just like real life, eh! I will have the Managers/Players list updated later tonight or Wednesday morning. ThoughtsAndSox got shut out this time. Man, I hate to see shut-outs. Nature of the beast, though. Now, let's bust some wax! I was really hoping to grab a shortstop, but it is still good to add some depth at outfield and in my pitching staff. Besides, FREE CARDS! 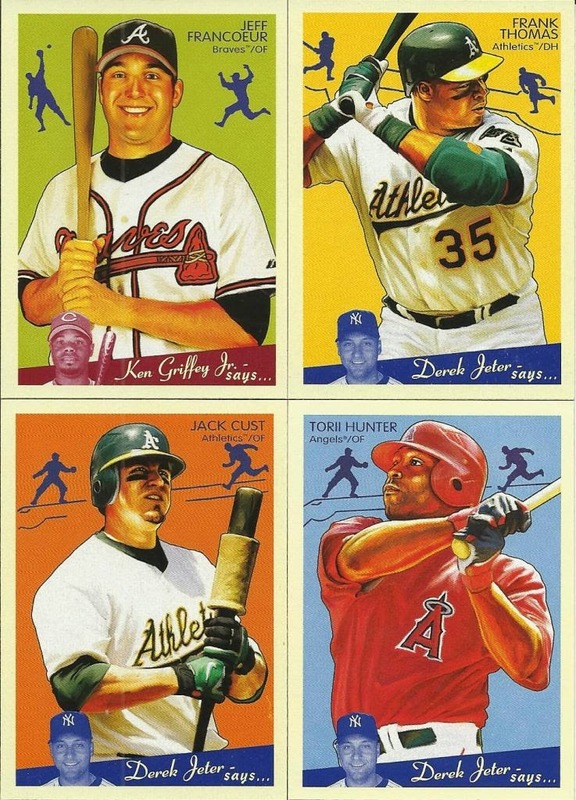 I like that Jack Cust card, and Frank Thomas in an A's uni = mind blown.